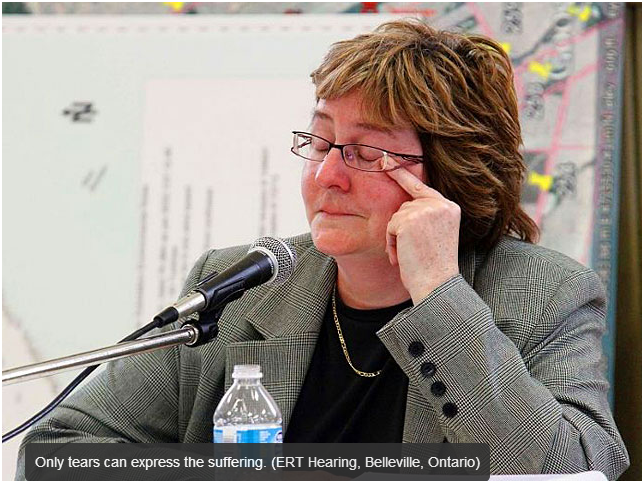 THE HUMAN FACE OF WIND TURBINES: The Suffering is Real. Its aim is to spread the word that wind turbines harm health when located too close to people and animals. Clearly presented evidence from affected people. They have also started Project SafeHouse to provide urban refuge for affected families from their turbines. Share the link and spread the word. « Don’t Panic, Don’t Panic!! An ABC news report 10/8/13 from NSW Fire and Rescue has it that NSW fire engines will have new horns and sirens to make motorists more aware of their presence. “The new sirens emit low frequency soundwaves and cause nearby vehicles to shake, which means drivers will feel the nearby engines, even if they cannot see or hear them”. Yet the wind lobby ridicules reports of vehicles and people shaken at a distance from Industrial Wind factories, even when they cannot be heard. One wonders when the wind advocates including prominent Professors will begin to ridicule the NSW Fire and Rescue of using the ‘nocebo effect’ in their warning systems? Unfortunately for the wind industry and their spinmeisters, the truth and independent science is slowly emerging. And the truth is that the wind industry has neither a human face, nor a human heart. I am so sorry for all of you who are suffering under these circumstances. I am a sufferer from ILNF and EMF since 2008 – same horse, different environment. God Help all of us.